Please contact the Pro Shop at Champagne Sports resort to book a 4-ball. (036 468 8000 – Speak to Kogin Naiker) Space still available. Thank you for your interest in taking a fourball for this event. Cost for the event : R4000-00 per 4 Ball. 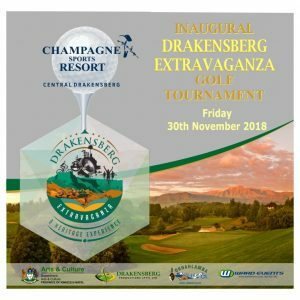 Includes Green fees, shared golf cart, complimentary golf shirts & cap, Bacon & Egg Roll and coffee at registration, Halfway House, Braai Dinner and Prize Giving.